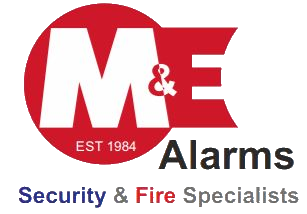 M&E Alarms offer a wide range of monitors and detectors to protect you, your homes and your businesses from fire and smoke damage. According to YouGov, Fire and Rescue Services in Great Britain attended 212,500 fires in 2013-14 with the most common time for these fires to be reported is in the hour of 8pm-9pm (with 9% of all fires). Your business needs protection after you have gone home, whether you run a small office or maintain a handful of warehouses our smoke detectors are not only there for your peace of mind, they could save your livelihood or even your life. Dwellings with no smoke alarm accounted for 38% of deaths in home fires in Great Britain, and nearly one-fifth of deaths occurred where no smoke alarm worked. M&E offer a comprehensive maintenance package to care for your alarm and detection system to make sure it is always of the highest quality to ensure you are constantly protected. We offer some of the following products, for more information please contact us for more information or a quote. M&E work with a number of suppliers to deliver the right products for your individual or business needs. M&E Alarms are proud to have had their BAFE safety certificate renewed for another 3 years. BAFE is the independent third party registration body for the fire protection industry. For more than 25 years they have been developing schemes for UKAS accredited certification bodies to assess and approve companies to recognised standards.